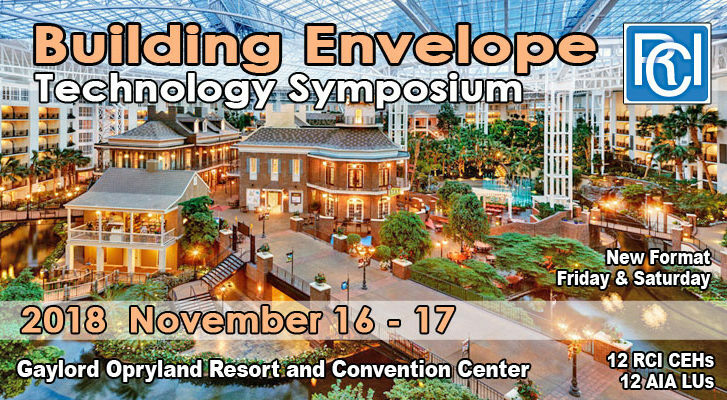 The Terra-Petra Waterproofing Division was proud to sponsor the 2018 RCI, Inc. Building Envelope Technology Symposium at the at the Gaylord Opryland Resort and Convention Center in Nashville, Tennessee, November 16-17, 2018. We had our executive team on hand (Barry Taheri, Josh Heidt, Dan Valdez and Justin Conaway). This two-day educational program offered cutting-edge information regarding design, construction, maintenance and repair of modern and/or older building envelopes. The event’s open, inclusive environment encouraged attendees to ask questions and stimulates dialogue. Speakers offered relevant solutions by referencing real-world examples and specific case histories. RCI’s expert instructors offered more than just technical data. Presenters reinforced program content with practical examples from applications in the field. With plenty of opportunities to ask questions, attendees got the answers they needed. Instructor/attendee dialogue was definitely encouraged. Geared towards building envelope professionals, architects, engineers, contractors, and facility managers, this program was invaluable to anyone involved with maintaining or designing building envelope systems. Attendees earned up to 12 Continuing Educational Hours (CEHs) from RCI. Credit reported directly to AIA.